Original cover by Janusz Christa; KAW 1987. Jakub Rebelka does not have a website. I know that a lot of people have been wondering when Kajko i Kokosz: W Krainie Borostworów would finally be covered and today is the big day. 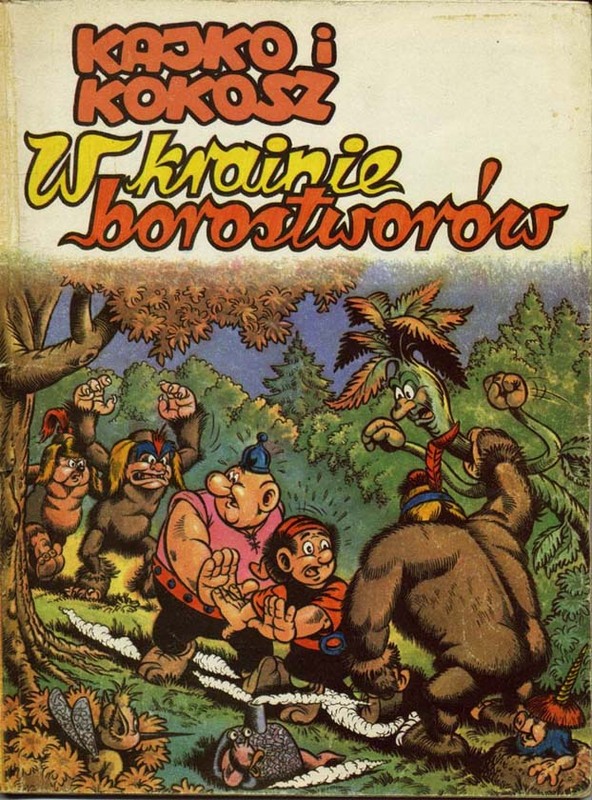 There are a few Polish comic covers from Polish artists that will be posted here in the future. I know absolutely nothing about the comic scene in Poland so it's exciting for me. I'd love to post covers from other countries that don't usually get a lot of North American comic press. I'm mostly familiar with North America, Japan, and Western Europe, but there must be other places to learn about. Great to see Kajko i Kokosz here, I spent the first four years of my life in Poland so I know them– they are the Polish Asterix & Obelix! Looking forward to see more covers from around the world! Cool! Nice to see something different. 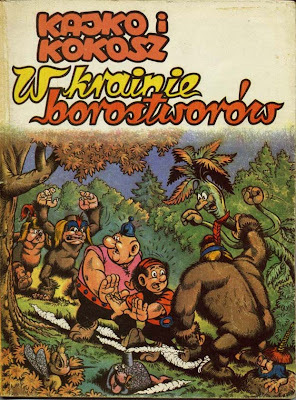 Janusz Christa has written and drawn nearly 5000 comic strips, 12 comic albums (european format) and many short stories. Please visit our website "Na plasterki!!!" and take a look at some of his works.